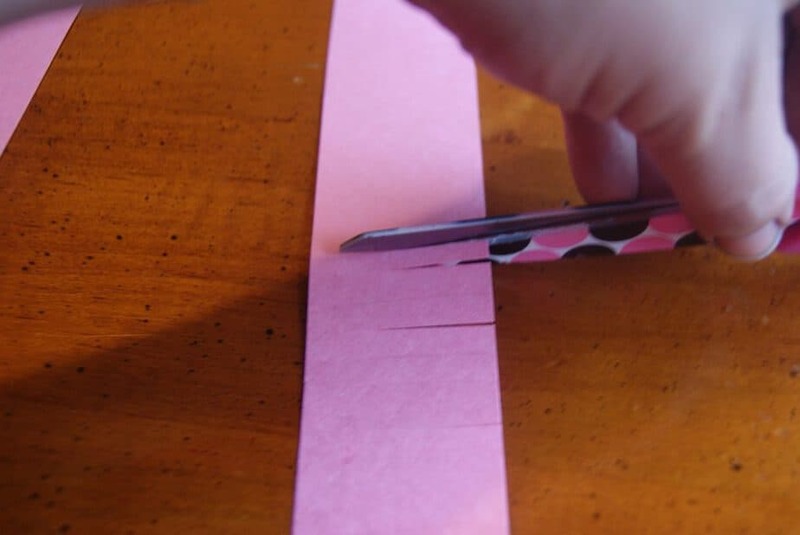 Using scissors “fringe” the paper all the way across by cutting it about every 1/8 of an inch to about an 1/8th to ¼ away from the edge. 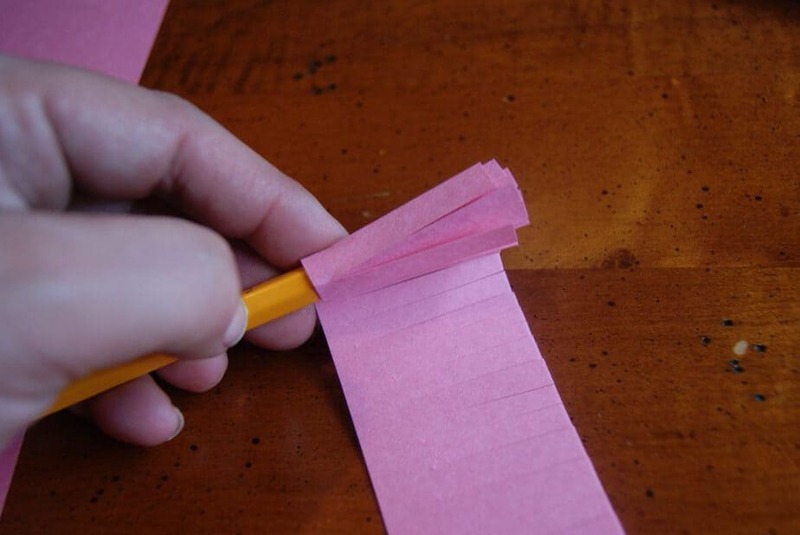 Tape the end of the fringe to the eraser end of your pencil, roll fringe around itself on pencil until completely wrapped-tape off end. Fan fringe out with your fingers. 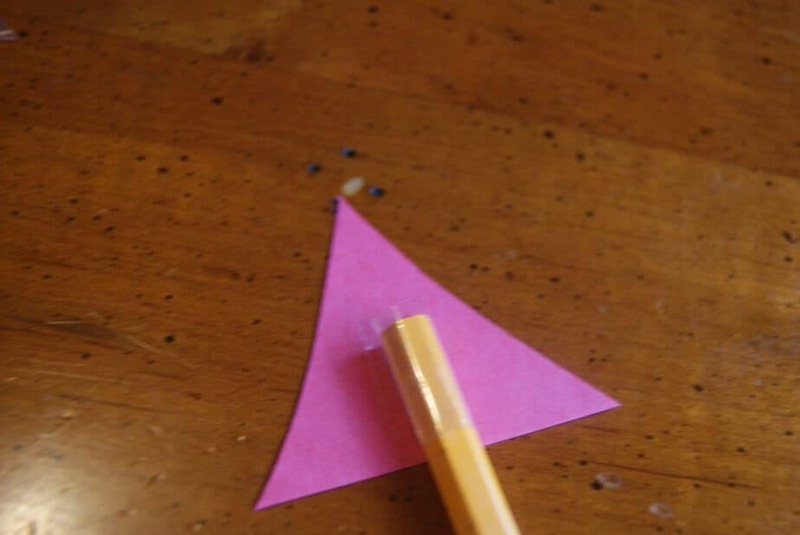 Cut 2 triangles from red construction paper, wrap clear tape with sticky side facing outwards around the writing end of your pencil, press triangles into either side. 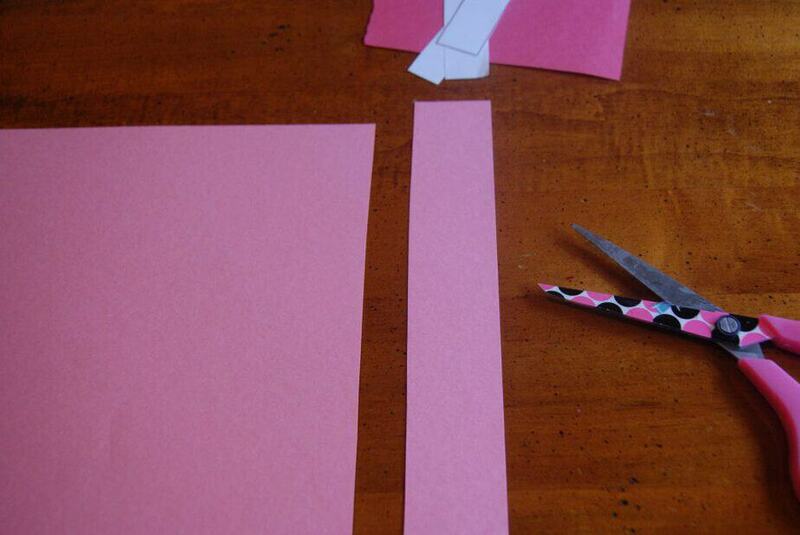 Print tags, cut them out, making a point at the end to resemble and arrow tip. 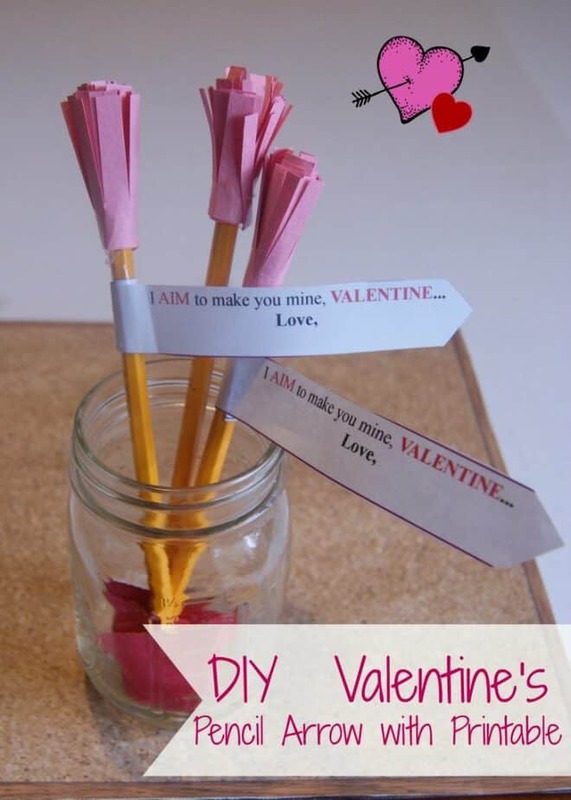 What kind of Valentines are YOU making this year? Are you going the non candy Valentine route as well? « Diet-to-Go 1000 Meal Giveaway! This looks like such a fun idea and not that the kids may enjoy doing. It’s also cheap and costs less than flowers. This is cute! 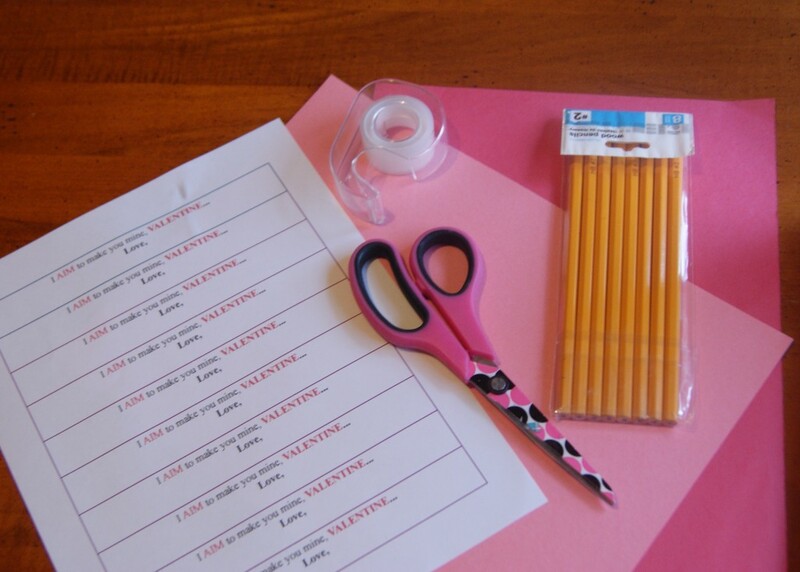 !… You can even buy different pencils to use, maybe pink, red, or white instead of using the generic yellow pencils. 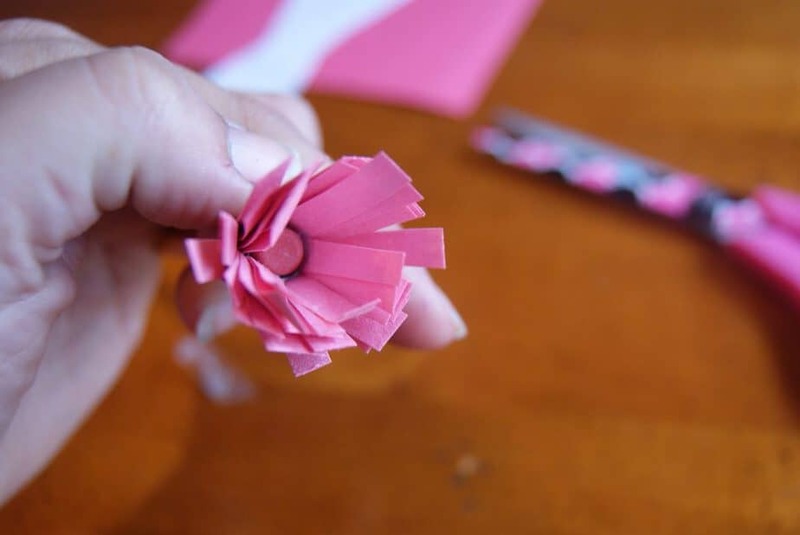 Thank you for sharing this great DIY Valentine’s Day craft. This is just too cute! It’s something the kids would have fun doing.